Chat is becoming a more and more important (and effective) way to engage with customers and prospects. But you want to make sure you get it right. 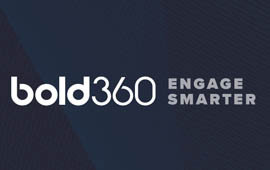 Bold360's Chat Experiment Engine provides true multivariate testing capabilities, with a sophisticated level of control that lets you test multiple variations of buttons, windows, invitations, and invite rules or rule sets simultaneously. Download the datasheet to learn more about optimizing live chat with multivariate testing.